Posted On January 22, 2017 by Team iCynosure. Heels are what girls love, but have you ever taken a moment to moment to understand the repercussions of towering above your height for extended lengths of time. No, not really! Just like most heel-lovers, I too thought what will a few hours of pain really cost me? Nothing as much as the adulation my look brings. And that’s where I was so wrong. A few more casual overlooks and I would have faced the same feet-deformity as those who wear heels over extended hours, especially tight ones with a pointed toe. The feet-deformity ‘Bunions’ is primarily a swelling that develops over a period just below the big toe that causes the toe to bend inwards (the feet) causing the intersecting bone to jut out causing an acute angle that feels like a hard lump. The area usually looks swollen throughout and remains reddish pink often restricting movement and sometimes even causing severe pain. This deformity is mainly caused because of the excess pressure on the toes from the type of footwear regularly used. Bunions are typically either asymptomatic or symptomatic; where the former causes no pain or discomfort while the latter is very uncomfortable and immensely painful. 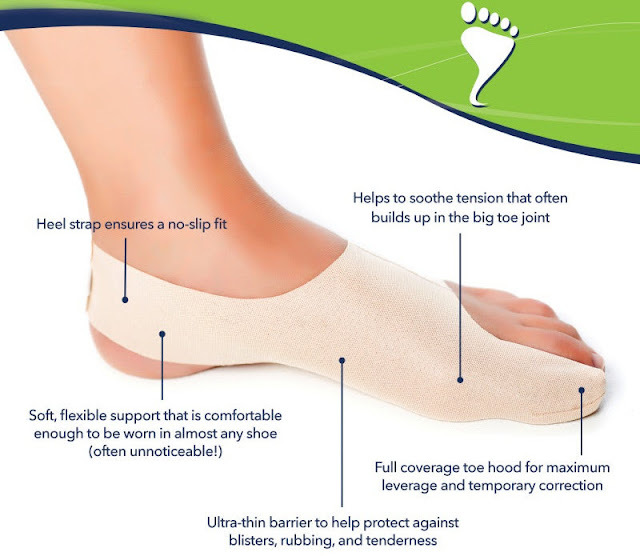 Medically the weight of the body is systematically divided between the heel, big toe and the last toe; however, when one wears a lot of tight closed shoes and heels, the big toe pushes into the feet causing the imbalance. If left untreated the onus of balance falls on the second toe and the entire chain continues until all the toes bend inward and cause permanent imbalance and the bunion deformity. The worst of all is the asymptomatic deformity which causes no pain and left untreated which results in the same condition over a period of time. So flaunt those Jimmy Choos and Christian Louboutin with some love for your feet. #Heels are an important part of a fashionista's must-have items, but have you ever thought about the ill-effects of towering above your height?